Jim Sanberg of Moscow died Wednesday, August 15, 2018 at Providence Sacred Heart Medical Center in Spokane. He was 83. Jim was born in Wendell, Idaho August 29, 1934 to Linus W. and Madelyn Hanafin Sanberg. He was raised in Jerome, Idaho. After high school graduation, Jim attended the University of Idaho where he was a member of the Phi Delta Theta Fraternity. While working as a “hasher” at the Delta Gamma house, he met the love of his life Bettina (Tina) Libby. They married July 21, 1956 and Moscow would be their permanent home for the next 66 years. Upon graduation Jim went to work for KRPL radio station. In 1970 he became part owner of Ken’s Stationery where he remained until his retirement in 1993. Jim was active in the Moscow City Council for 8 years and served on the Board of Directors for the Association of Idaho Cities; President of the Alumni Association of Phi Delta Theta; an active Moscow Jaycee and received the Distinguished Service Award in 1964; served with the Moscow unit of the National Guard for 8 years; active member of the Knights of Columbus holding positions of Grand Knight in the 3rd degree and Faithful Navigator in the 4th degree; was an avid bowler serving as Secretary and as President of the Moscow Bowling Association. He was active in St. Mary’s Catholic Church, serving as Eucharistic Minister. Jim and Tina enjoyed traveling with Jim’s sister Madelyn and husband John Wagner from Grangeville. They touched foot in all 50 states in their journeys. After they retired, they became “SnowBirds”, spending half their year in Sun City Arizona. When they were back home in Moscow, Jim enjoyed fishing with the grandkids, watching Mariners games, and visiting with their friends at McDonalds “coffee club”. Jim and Tina chaperoned Guardian Angel – St. Boniface 6th grade Camp Winchester for the past 10 years. Jim served as the “Fishing Expert” for many first-time fishermen! His other hobbies included bowling, camping, hunting, skiing, photography, gardening, and fly tying. A favorite pastime in his later years was collecting pallets for “re-purposing”. Survivors include his wife Tina, two daughters, Vicki Roys (Richard Doede) of Spokane, WA and Lori Becker (Mike) of Colton, grandchildren Josh Roys (Kristina), Jessica Rizzuto (Joe), Andy Becker, Christy Becker (Scott Cron), Katie Becker, Matt Becker, (Shauni Wemhoff), Rachel Becker, great grandchildren Alex and Kyla Rizzuto and Cooper Roys, sister-in-law Barbara Steffens and four nieces. He was preceded in death by his Mom, Madelyn Sanberg, Dad, Linus Sanberg, sister Madelyn Wagner, Brothers-in-law John Wagner and Robert Steffens, son Michael Sanberg, niece Mary Wagner, and nephew Jim Wagner. In lieu of flowers please consider a donation to St Mary’s School Foundation, P.O. Box 8485, Moscow, ID 83843 or Guardian Angel – St. Boniface School, P.O Box 48 in Colton, WA 99113. 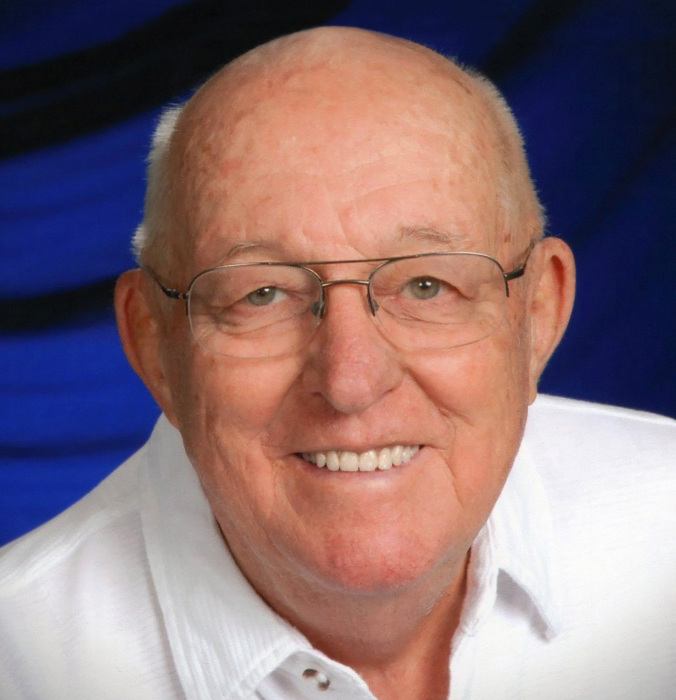 Visitation will be from 9:00 AM to 7:00 P.M. Wednesday, August 22nd at Short’s Funeral Chapel. A rosary will be recited at 10:30 am, Thursday, August 23rd followed by the Funeral Mass at 11:00 at St. Mary’s Catholic Church in Moscow. There will be a luncheon and time of fellowship at St. Mary’s Family Center immediately following. The graveside service will be at 2:30 P.M. at the Moscow Cemetery.